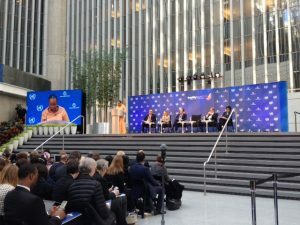 Every year, the World Bank hosts a Fragility, Conflict and Violence (FCV) Forum in Washington DC. This year’s theme Taking action for peaceful and inclusive societies saw hundreds of attendees from a variety of organisations over the course of three days full of panels, performances, and plenaries. The goal of the forum was to bring experts together to address the challenges of fragility, conflict and violence and explore ways that peacebuilders, development organisations and humanitarian aid workers can work more effectively together. The opening plenary continued to call for the urgent need for strategic responses to fragility and conflict, especially highlighting the refugee crisis in Syria. World Bank President Jim Yong Kim posed six questions to the forum audience to keep in mind over the following days, and three were dedicated to addressing refugee needs – i.e. how do we get more information on refugees and adjust programs to meet their needs? The plenary wrapped up with the President of the Central African Republic, Catherine Samba-Panza, finally bringing the importance of local people into the conversation. She stated that partnership is crucial to reconstructing fragile states and that this should not only be limited to international bodies, but must include local players as well. Linking grassroots reconciliation with high-level dialogue has been critical for the Central African Republic, and Samba-Panza urged others to look to the Central African Republic as a prototype for efforts elsewhere. Similarly, USAID’s Staal emphasised the need to include local people in conflict resolution and said that humanitarian aid can also be about capacity building. Instead of giving out bread to local communities, give flour so that those people can make their own bread, achieve economic autonomy and a sustainable livelihood. Later, the Princess pointed out that while infrastructure can be blown away, people’s resilience remains: they are our best resource and the international community must empower and support them. 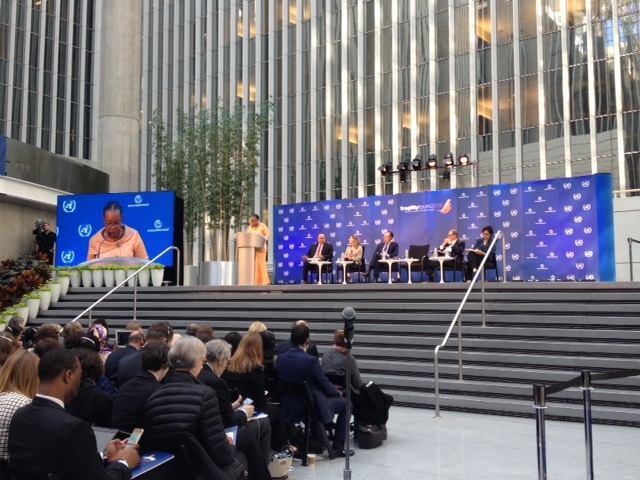 In the following days, panels on country-specific findings and the role development has in peacebuilding abounded. On the final day during the Civil Society and Policy Processes in Conflict and Fragility panel, questions were raised about how best to include local organisations in building peace. Should we focus on advocacy? How should we collaborate with local communities and civil society? Should we step on toes if it should be successful? 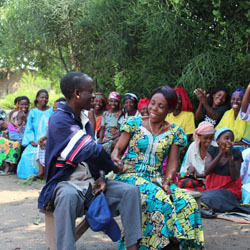 Answer: Local peacebuilders are powerful agents for peace. As HRH Princess Zeid mentioned, people are the world’s best resource. Local organisations have unique knowledge of their contexts, and know what can and cannot work. The international community’s place should be to provide them with the assistance they require. This year’s Fragility, Conflict and Violence Forum has underlined an important framework: an aim of development is to prevent conflict, humanitarian aid aims to relieve effects of conflict, and peacebuilding aims to do both at once. On the other side of the forum, we can all to take action to create peaceful and inclusive societies. It’s time for the World Bank and the international community to take concrete steps to implement what was said in Washington DC, so that it does not remain there alone.